I figure, since many of you haven't read any of my old posts, I'll repost a few old ones here every once in awhile. Here's an old press release that we used to announce my Breast Cancer in 2008. If you want to read details of my cancer journey almost 10 years ago, click on some of the links below to check it out. Don't ever hesitate to get in touch if you have questions about any part of it. DUNDAS, ONTARIO--(Marketwire - April 1, 2008) - Noelle Smith's hair is her paycheque. There's only one problem; Noelle is about to start chemotherapy and lose her hair. The solution? One last curly hair demonstration at the Ellenoire boutique on April 12th and then, before it suffers the ravages of cancer treatment, Noelle will cut off her hair for donation to Angel Hair for Kids. 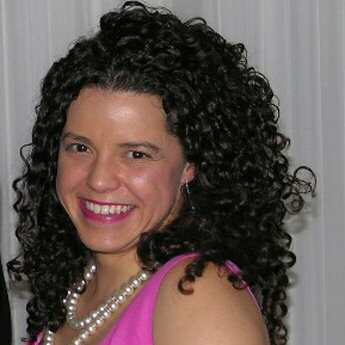 The 41 year old single mom and entrepreneur has carried an exclusive line of products for curly hair at her Dundas, Ontario bath and body product boutique, Ellenoire (www.ellenoire.com), for 5 years, offering education on beautifying and managing your curls. Noelle's own long, gorgeous curly locks are exhibit "A" for this pocket of the curly girl revolution. Every weekend Noelle performs a live curly hair demo- actually washing her hair in the store in front of the curly rescue audience then demonstrating all of the products and care techniques recommended in the Devachan curly girl philosophy. After this last live demo, Noelle will cut off her hair for donation to Angel Hair for Kids provides human or synthetic hair wigs for children from financially disadvantaged families who have lost their hair as a result of Cancer chemotherapy and radiation treatments. This past December, in the height of the retail season, Noelle was diagnosed with invasive ductal carcinoma. February 15th, Noelle was admitted for a mastectomy and sentinel node biopsy. "I was very worried going under, but woke up smiling- because I knew I was alive and could continue looking after my son." After a short recovery time Noelle is about to enter the next stage of treatment - chemotherapy. In addition to the other side effects hair loss is guaranteed; stressful enough for any cancer patient, more so for a woman who's characteristic hair is a trademark of her business. "I can't call my self a cancer survivor yet, I haven't even started the long haul of chemo. So I'm a cancer fighter. Donating my hair for someone else's benefit is another way to fight. I'm not waiting for it to come out in patches; I'm taking control and doing something good." Noelle has been fighting by immersing herself in education about breast cancer, connecting with cancer groups, blogging http://noellesbloggybits.blogspot.com/ and even taking a full body cast pre-surgery for artist friends to work on. One of the major areas of education is directly connected to the natural and organic bath and body products available through her store. Ellenoire has always carried all natural and organic products, which drastically reduce exposure to suspected carcinogens in many regular bath, body and cosmetic products. "Many big label cosmetics or bath and body product companies are still using ingredients with links to cancer," says Smith, "but it's very hard for consumers to find the right information to make good decisions about what products they should and shouldn't put on their skin." "I in one sense I became a cancer survivor after my mom died"; Noelle lost her mother, Thalia Maughan, to cancer last year. "Sadly, my son has never known the family to be without cancer." Noelle will be carrying on her fight for the next 16 months of treatment, continuing to manage her bath and body product business and care for her son as she endures the chemotherapy. "Listening to the stories of other women who have taken similar treatment it's hard, really hard. Too many women have to go through this. This will be a real challenge as a self employed single mom; getting the therapy, running the store and caring for my son- but it's a challenge you have to face head on and work through. You can't negotiate with reality. If we don't make the sales goals, I have no income; that's the risk of being self employed." In Ontario self-employed individuals receive no medical benefits other than OHIP covered hospital based services, and there is no sick leave from work. Noelle will cut her hair off for donation April 12th 2008 at 2pm at the Ellenoire boutique, 41 King St W. Dundas, Ontario, following a curly hair demonstration (care, do it yourself tips, individual advice and Deva products) at 1pm. Press representatives and the public are welcome to join. 104 King St W Dundas Ontario. 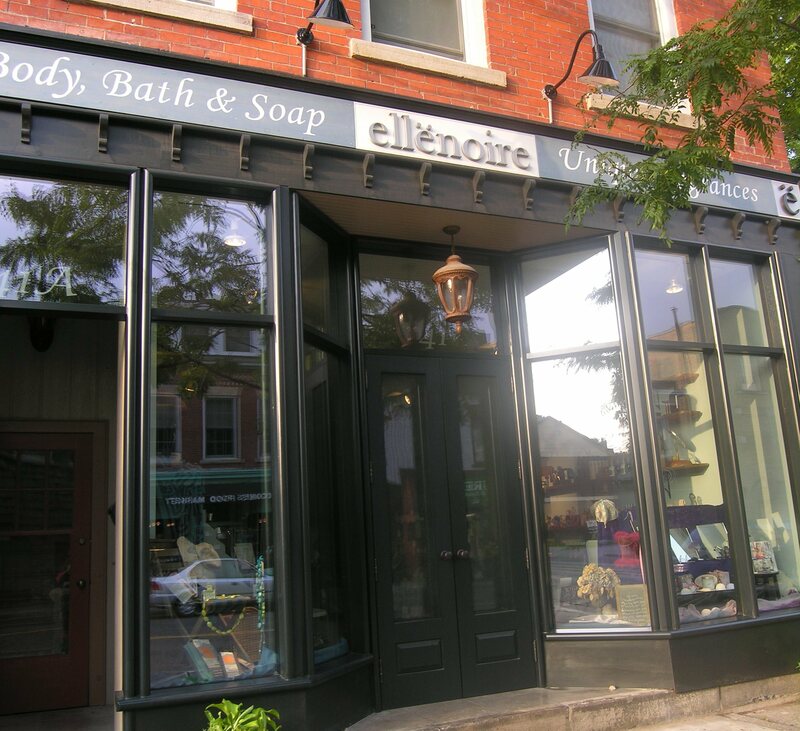 The Ellenoire boutique is an independent purveyor of fine bath and body products and custom blended scents, serving clients since inception as a home based business. Ellenoire provides access to their own line of bath and body products and dozens of other unique or exclusive lines at the boutique and online at www.ellenoire.com. A sole proprietorship, Ellenoire is run by Noelle Smith, a 41 year old single mother and Dundas native. Noelle seeks to bring the best of unique or up and coming product lines to her customers, within the store's philosophy of "at least all natural if not organic". Noelle's custom blended products including one of a kind individual perfume blends are a much sought after treasure and favorite with bath and body product junkies across North America. In 2000 Noelle kicked a drug addiction, left an abusive relationship and returned to Dundas to raise her son. For information on Noelle's challenges, in her own words, click the below. Lorraine Massey is founder and co-owner Founded Devachan in Lower Manhattan. The Deva Cutting technique is Devachan's revolutionary method for cutting curly hair. 100% sulfate-free cleansing system is dedicated to the pursuit of beautiful healthy hair. Passionate about the cutting and caring of curly hair, Massey is the author of a hilarious how-to manifesto for the curly-haired, called "Curly Girl," (Workman Press, 2002).